Did you know you have a dedicated view to see your NEW LEADS that have come in from client-to-client referrals (more), your lead capture page (more) or social media lead-capture? 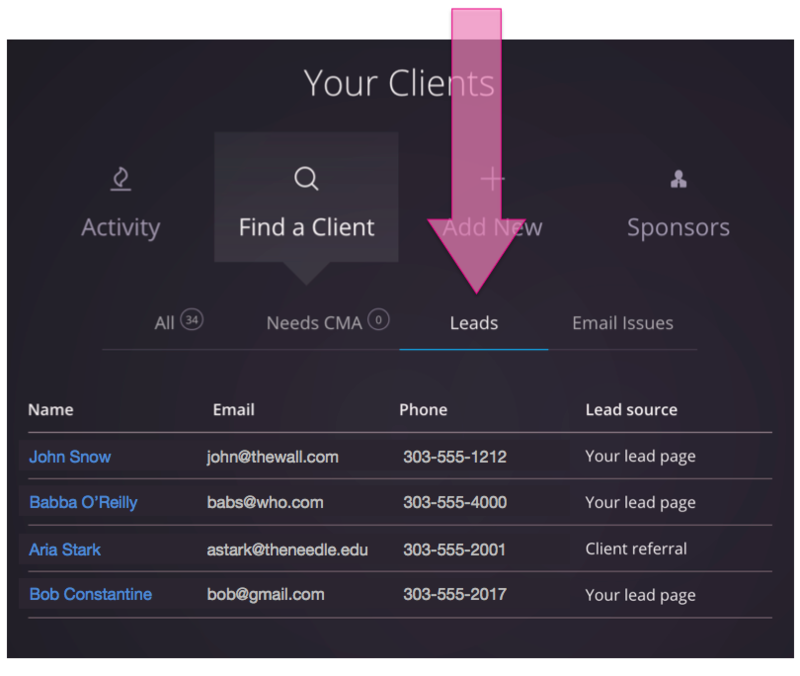 To see yours, just click on the "Find a Client" tab and then the new "Leads" sub-tab (see image below). And, what's really cool is it shows you the source as well, as in "your lead page" or "client referral". REMEMBER!... these leads have already received their first Homebot Digest so give them a call to say, "Hello!" Don't have any leads yet? Let's get started!